One of the things I'm really getting sick of along with the Black trans community and the parents of Black trans kids is the ongoing pattern in the Black community of our Black oriented media outlets, be they radio, television or on social media, spouting hate speech aimed at the transgender community. It is anti-trans hate speech like this that results in Black trans women getting beat up or murdered. The latest sorry instance of what I'm talking about happened on the New York based Power 105.1 FM radio show The Breakfast Club that is syndicated to 50 markets including Houston's KQBT-FM to an audience of 4 million people. This latest episode of Black media transphobia started when Janet Mock appeared on the show last Tuesday to promote her new book Surpassing Certainty. 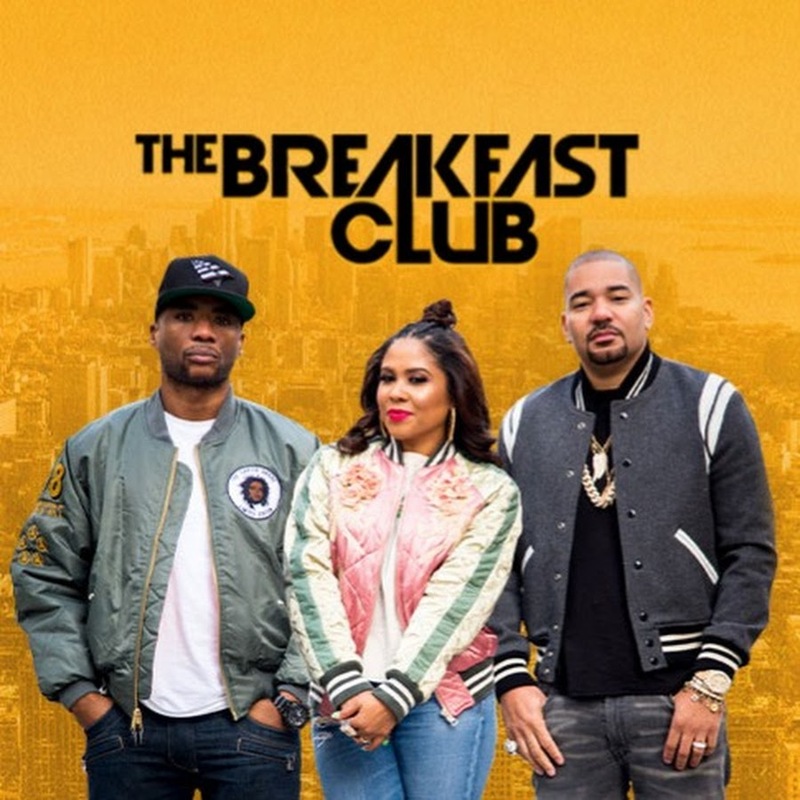 While the Breakfast Club team managed to actually do a respectful and informative interview with Janet on that day, it was painfully obvious they hadn't learned anything on Friday when they hosted the 'comedian' Lil Duval on the show. The show went off the transphobic rails quickly starting at the 6:28 mark In addition to Lil Duval using the t-slur, he then compounded his ignorance fueled descent down the transphobic rabbit hole by expressing the sentiment of killing a trans woman if he found out he was dating one, repeated the trans deception lie, and then topped it all off by dissing Janet Mock for laughs as the Breakfast Club hosts egged him on. We have so far in 2017 lost 15 trans women to anti-trans violence, and 13 of those women are Black. Even more infuriating to me is many of those Black trans women we lost were under age 40. I am sick and tired of along with the Black trans community and the parents of Black trans women, of cis Black folks peddling transphobia for laughs, ratings or your monetary gain. It isn't funny. And I'm sick and tired of the fragile cis Black masculinity reflected in their anti-trans commentary. When we have the Republican Party at the state and federal levels openly pushing harmful anti-trans legislation like SB 3 that we're having to fight tooth and nail in my home state and the POTUS peddling anti- trans policies, your jokes are leading to Black trans women being assaulted and murdered. 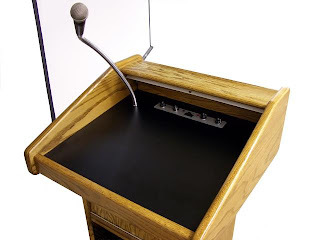 It's past time for Black media outfits, whether they are Internet gossip blogs, TV talk show hosts who used transphobia to build their brand (Wendy Williams) or syndicated FM radio shows like the Breakfast Club to please chill with the Black media transphobia . It is getting Black trans women assaulted and killed. Caitlyn, Do You FINALLY Have A Clue The GOP Hates Us? 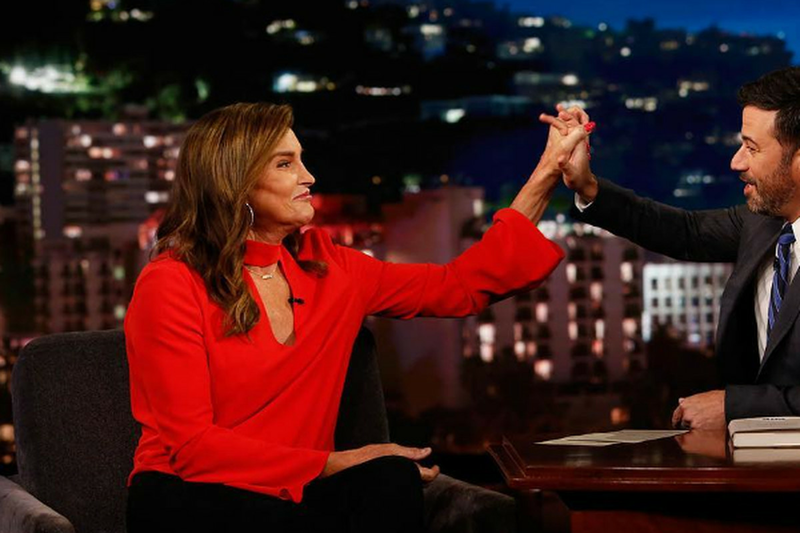 One of the ongoing things that I have found laughable ever since she came out is Caitlyn Jenner's insistence that she can change the Republican Party's hostile views when it comes to transgender people. More power to her for cluelessly taking on that quixotic political mission despite an avalanche of evidence and anti-trans legislation coming out of GOP controlled legislatures across the country that the Republican Party and the conservafool movement hates trans people. But what will it take for Caitlyn to finally get to the epiphany that many reality based trans people in our community hit a long time ago that the GOP Hates Trans Me? Even our trans kids are quite aware of this point that seems to escape Miss Right Wing Thing. News flash, Caitlyn. The party that you are loyal to hates your trans guts and has zero respect for you. They are not listening to you, they are listening the Family Research Council and other anti-trans hate groups in the party. Trump is listening to Rep. Vicky Hartzler (R-MO) and VP Mike Pence when it comes to trans policy, not you. Was Trump's anti-trans service tweet the final straw for her clueless behind? We'll see. Or is she going to continue to be Donna Quixote charging at that GOP windmill, getting knocked off her horse time and time again and insisting that she can change a party that has anti-trans hatred embedded in its party platform? You are not going to be able in a time in which the Republican Party and conservative movement is heavily invested in demonizing trans people for fun and their political gain change their attitudes toward transgender Americans. You can continue on that futile path while the rest of us do what we've always done in terms of resisting the anti-trans evil coming from the Republican Party, and ensuring that the Democratic Party continues to see the wisdom of fighting for the humanity and human rights of trans people like the previous POTUS did that you hated on. How About Using Pics Of Real Trans Service Members To Support Trans Troops? In the wake of 45's misguided tweet announcing a ban on trans military service, which the Joint Chiefs of Staff quickly stated isn't happening, there are some folks who have been posting pics of Cpl. Klinger in drag to allegedly support trans service members. If you are doing that, stop it immediately. It is not only disrespectful to our trans veterans and the 15,500 trans service members currently serving in various capacities across all branches of our armed forces, it is reinforcing some harmful stereotypes. And our right wing enemies are already using the Klinger memes to attack trans military service. Trans folks proudly served, and post military have been taking the leadership skills they learned in our military and using them to provide leadership in our community. If you really wish to support trans service members, then use pics of real peeps like SSgt Logan Ireland, Sgt. Shane Ortega, and Col. Sheri Swokowski just to name a few. 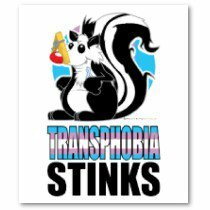 And note to the unhinged haters, transgender people serve in the armed forces of 18 nations on this planet, many of which are our NATO allies. Being a trans service member is not a joke. So how about reinforcing that point if you sincerely wish to support trans service members by sharing pics of actual trans people in the military? I Repeat NAACP, Where You At When It Comes To Trans People? Of all the organizations that expressed outrage about 45's tweet attempting to eviscerate trans people from the US military, I noticed that despite the NAACP currently having their 108th Annual Convention in Baltimore and having an LGBT Forum last night, there is still a deafening silence coming from the NAACP concerning transgender people. And as a former youth member of the NAACP who is contemplating rejoining the organization, that is bothering me. Yes, the NAACP Legal Defense Fund has commented on Trump's anti-trans tweet and that's wonderful they did so. But what we Black trans peeps need to see and hear is a board, NAACP presidential or chair level statement unequivocally spelling out where this 108 year old organization stands when it comes to the humanity and human rights of trans people, and backing that up with action. We Black trans folks are catching hell, and we have noted that you have been far too silent about it.The Republican Party is gleefully passing anti-trans legislation like the odious SB 3 that just passed through the Texas Senate. We have had 15 trans women of color murdered in 2017, with 13 of those women being Black. Most disturbing to me is the increasing levels of anti-trans rhetoric being uttered in our community spaces, the time is now NAACP for you to step up and provide the moral leadership inside this community and unequivocally state that Black trans women are Black woman, Black trans men are Black men, and the NAACP will fight for their humanity and human rights. And we need that said not only at the national level, but in state and local NAACP chapters as well. 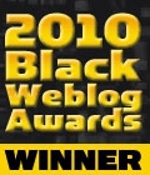 As Jade Lenore of BTWI-Texas recently stated, " NAACP can you take a stand for the Trans people of the Black community? Myself and others need to know if you support us and stand with us. Will you defend us against this blatant hatred that ripping through our Black Trans community?" I'd like to know the answer to that question myself, NAACP? . So what say ye, NAACP? Will you summon the moral courage to stand with the Black trans community and unequivocally state that you do? Will you form partnerships with Black trans organizations already doing the work but who could use your century plus civil rights gravitas to aid their efforts? Will you work to become trans culturally competent? Will you reach out to the Black trans leaders, parents of Black trans children and Black community allies and supporters for guidance to help you get there as expeditiously as possible? Will you make a dent in our 20% unemployment numbers by actually hiring qualified trans people to do the work of this organization? Black trans people are damned sure front and center in fighting for the human rights of everyone, including cisgender Black people. Would be nice if we could get a regular paycheck for doing so. Or will you do what many people and millennials expect you to do and say nothing, thus justifying the ossifying impression that the NAACP doesn't care about trans people or anyone that is not heteronormative , and is continuing its journey toward 21st century irrelevance? We in Black Trans World eagerly await the answer to this question. Black Trans Advocacy is saddened to hear that President Donald Trump is continuing the Republican assault on the humanity and human rights of transgender Americans by reinstating the ban on trans military service that was rescinded by the Obama Administration just last year. What we find particularly odious about this is that it was done exactly 69 years to the day in 1948 that president Harry S Truman issues his executive order desegregating the US military. There are 15,500 trans people serving in our military, and many of them are doing so with distinction. In addition, the RAND Corporation study done on the costs of transition related medical care at only $2.4 to $8.4 million, a miniscule amount considering the entire military health care budget is $7.8 billion dollars. It was past time to allow qualified trans people who met the requirements for service in our armed forces to be able to do so. Some of those people who have or are serving in the US military are part of our Black trans family. We at Black Trans Advocacy hope that this misguided decision is reversed as soon as possible. 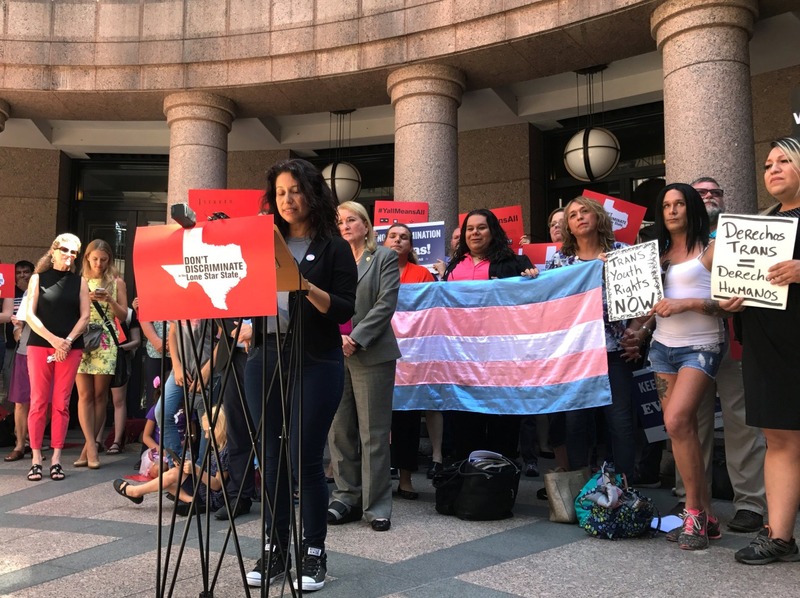 Black Trans Advocacy is not shocked to see our Republican controlled Texas Senate continue their misguided and reprehensible attack on the humanity and human rights of transgender Texans via the Lois Kolkhorst authored SB 3. This unjust bill passed out of committee on an 8-1 vote July 21 and in the Senate yesterday by a 21-10 margin after 8 hours of debate. Last Friday Texans including our Mr Black Trans International king Trenton Johnson by a 12-1 margin expressed themselves via personal appearance in Austin to deliver in person testimony or sent written testimony to the Senate State Affairs Committee urging them not to pass the unjust SB 3 or SB 91 bills authored by Kolkhorst. We thank Sen Sylvia Garcia who isn't a member of Senate State Affairs, but sat through the nearly 11 hours of testimony given on that bill, and Sen Judith Zaffirini who was the lone NO vote in committee. We thank the ten Senate Democrats who stood up for the humanity and human rights of transgender Texans, and condemn Sen. Eddie Lucio Jr for disingenuously lying during the debate to claim he has never voted for discrimination while joining all 20 Senate Republicans to enable discrimination against trans Texans. . Yes senator, you did vote for discrimination back in March when you voted to pass SB 6 out of committee and then did so on the Senate floor. We urge House Speaker Joe Straus and the members of the House State Affairs Committee to do the right thing for our state and kill this legislative abomination before it costs us more convention business beyond the $66 million we have already lost. We at Black Trans Advocacy would also like to see this SB 3 bill die before we lose any more Texas trans women to anti-trans animus. Today he unleashed a series of tweets in which he stated that the armed forces ban on transgender military service that had been rescinded just last year by President Obama was being reinstated citing the BS reason of costs. It's also bitterly ironic that he did so on the same day 69 years ago that President Harry S. Truman issued the executive order that desegregated the US military in 1948. Two studies done by the RAND Corporation in June 2016 and another that was done in September 2015 and published in the New England Journal of Medicine basically came to the same conclusions that the medical gender transition costs that Trump and Republican opponents rail against would be minimal. The RAND Corporation study estimated that there were 1,320 to 6,630 active duty trans service members, and projected that those costs would be $2.4 million to $8.4 million, which is only a 0.04 to 0.13 % increase in the budget. It also pointed out that not all current active duty trans military service members would seek gender transitioning treatment, and that 0.1% of those service members would seek treatments that could delay a deployment. The September 2015 study estimated that it would cost $4.2 million to $5.6 million and of the 12,500 service members, less than 200 would seek medical gender transition related care. The US military's annual healthcare budget is $47.8 billion dollars. The brand new aircraft carrier USS Gerald R. Ford at $13 billion cost more to build than the negligible annual transition related healthcare for trans service members. And I feel today for all those trans veterans like Carla, who proudly served this country and fought for your right to hate us. One of those 15,000 military trans people you peeps are hating on, is serving out nation and currently deployed in Air Force SSgt Logan Ireland. He had this to say about the announcement. It's also infuriating to me as a trans African American to hear the same lies that were told to attempt to justify Jim Crow military segregation being retooled to aim at transpeople who wish to openly serve our country. But then again 45 and his party don't care about your human rights unless you are a white male wealthy Republican. Today the Houston Texans make a little franchise history as their 2017 training camp opens in White Sulphur Springs, WV in the cooler Appalachian mountain climate at the Greenbrier resort until August 17. 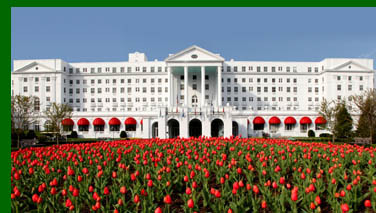 The Greenbrier has a $30 million training facility that was built for the New Orleans Saints, who trained there for the last three seasons until they returned back to Louisiana this season. 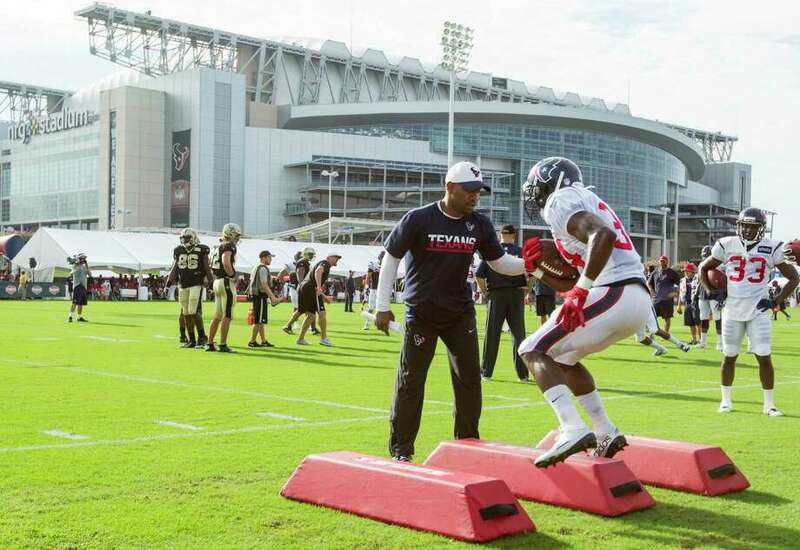 It's the first time that the Texans have ever held training camp outside of the city of Houston, and the Greenbrier itself has some interesting history of its own. If the United States had ever been nuked, underneath a wing of the Greenbrier hotel was a until 1992 secret fallout shelter and bunker that would have housed the federal government. Construction of the 112, 544 square foot bunker began in 1958 and was completed in 1961. It was kept in constant readiness for World War III by a team of undercover government employees. A May 31, 1992 Washington Post article leaked that closely guarded Cold War secret, and The Bunker 720 feet under the West Virginia Wing of the hotel was decommissioned in 1995. What we Texans fans want to know is are the Texans ready to threepeat as AFC South champions, is JJ Watt ready to play and make last year's number one rated defense better, and whether Tom Savage or Deshaun Watson will be the Texans starting quarterback when they open the 2017 NFL season at NRG Stadium against the Jacksonville Jaguars. The unjust SB 3 bill is being debated in the Texas Senate right now, and if they thought they would be able to blitz this vote through, they underestimated the fight in the Texas Senate Democrats with the exception of Sen. Eddie Lucio, Jr.
As this debate is raging on the floor of the Senate, there was a rally held on the south steps of the Capitol today in which police chiefs from across Texas oppose SB 3 because it is in their words unenforceable and harmful to our state's economy. Why The Erasure of Black Texans Voices In SB 3 Coverage? 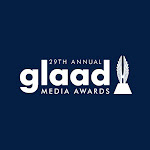 One of the things I thought about on the plane ride home and has been bothering me as I observe the media coverage in this fight to kill SB 3 is that as of yet, I have not seen ANY media outlet attempt to talk to Texas Black trans people, the Dallas based Black Trans Advocacy or even Black legislators in Austin concerning their thoughts about this unjust legislation. And why is that Texas media? Have you bought into the myth that the only time mine or the opinions of Black trans people are valid is when we are murdered, and that only white TBLGQ people or leaders of white led organizations are qualified to talk about pending legislation? As Kandice Webber, a BLM-Houston organizer said to me in a recent conversation about the start of the Special Oppression Session and the anti-trans legislation, "I am not surprised at all. They create these horrible bills that rip our lives apart and then talk to everyone but us about it." "They talk around us as if our blackness doesn't matter. Black trans women are under full scale attack by Dan Patrick. SB3 threatens black lives too but all we see is white trans women I've never heard of and the occasional Latino person. This state constantly reinforces what we already know. They do not care about Black people. That's why it's so important for us to care about ourselves and stand together against this legislative oppression, " she continued. And yes, Texas media, did you also not consider or even think about the fact that 18 members of the Texas Legislature share my ethnic heritage? The Texas Legislative Black Caucus also has the longest serving member of the Texas House in Rep. Senfronia Thompson (D-Houston) as a member, and TLBC chair Rep Helen Giddings is vice chair of the House State Affairs Committee, where SB 3 will probably land once it has cleared the Texas Senate. Translation: Many of these Texas Black legislators are or will be key players in this special session. 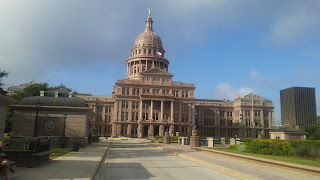 So yes, as a fourth generation transgender Texan, I'd like to know and believe Texans would like to know where the Texas Black community's legislative representatives in Austin stand, and what their thoughts and opinions are concerning SB 3. How about the novel approach of actually talking to Texas Black trans people like myself? How about talking to our Black Texas state reps and senators? 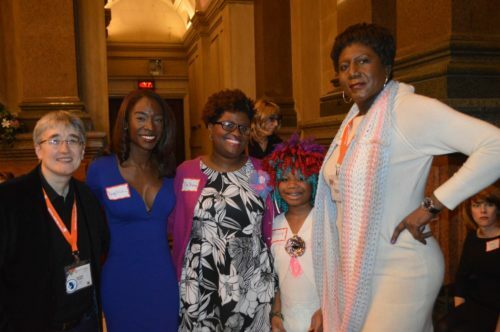 How about interviewing the parents of Black trans children, the people of Black Transmen, Inc (BTMI) and Black Transwomen, Inc. (BTWI) who are in the crosshairs of this oppressive legislation? Last tome I checked, BTMI and BTWI were based in Dallas, and have an annual convention every April in Dallas. How about ending the media erasure of Black Texans voices concerning this unjust legislation period? As you TransGriot readers know I was in San Diego handling some business and taking a mental health break at Comic Con while the Senate State Affairs Committee hearings were happening in Austin on Friday. With only 48 hours notice, we had even more people show up and comment than we did back in March in front of this same Republican dominated committee. And I was sitting in my hotel room in the early AM Pacific time watching them online until I had to bounce for my SDCC business and a podcast interview. 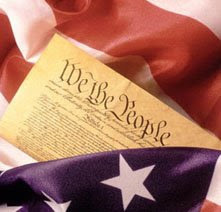 By a 12 to 1 margin, the NO's and people standing up to oppose this unjust bill outnumbered the oppressors. (738 against compared to only 59 people for the unjust bill). There was also a rally help in which transgender Texans and our allies spoke out against this bill. After ten hours of testimony on Friday. 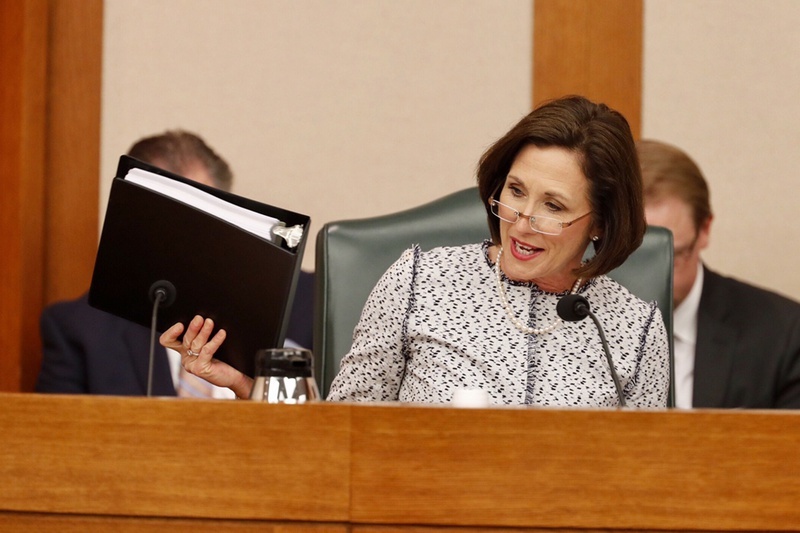 the transphobic bill authored by Lois 'I'm a transphobe' Kolkhorst was voted out of committee by the same 8-1 deja vu vote. That reprehensible DINO Sen. Eddie Lucio, Jr (DINO-Brownsville) once again joined the all white GOP oppressors, while Sen.Judith Zaffirini (D-Laredo), as she did back in March, voted NO. SB 91, Lois Kolkhorst's other anti-trans legislative abomination, was left 'pending' in committee. Meanwhile SB 3 heads to the Senate floor for a possible vote later today. I wasn't surprised at the Senate State Affairs Committee outcome. It was always going to be an uphill battle in Potty Dan's overwhelmingly white male Senate legislative playground. The Senate State Affairs committee is also overwhelmingly white and male like the Texas Senate is. The GOP Texas Senate leadership is also blitzkrieging all the oppression legislation through, and there's not much the Democratic minority can do besides offer a lot of amendments to bills or filibuster them. Our best shot for stopping it and saving Texas from North Carolina's fate is the Texas House, which is far more diverse and has more moderate business oriented Republicans instead of the teabaggers that pollute the Texas Senate. We have already lost according to the testimony from convention groups in Houston, Dallas, Austin, El Paso, and San Antonio $66 million worth of convention business. Mayor Sylvester Turner in his letter expressing opposition to SB 3 stated that Houston has already lost a convention worth $11 million dollars, and stands to lose my mom's sorority Alpha Kappa Alpha) convention next year worth $15 million if SB 3 becomes law. Texas House Speaker Joe Straus (R-San Antonio) has made it clear he's not in favor of the bill. His city also stands to lose an estimated $40 million in convention business should SB 3 pass. The House is not playing the Senate's speedball game. They are only working on the must pass sunset legislation, and taking their sweet time doing so as the clock mercifully and inexorably ticks down to the end of this 30 day Special Oppression Session. And there isn't a damned thing Gov. Abbott or Potty Dan can do about it. So stay tuned, we only lost a legislative battle. The war to stop SB 3 from passing ain't over yet. 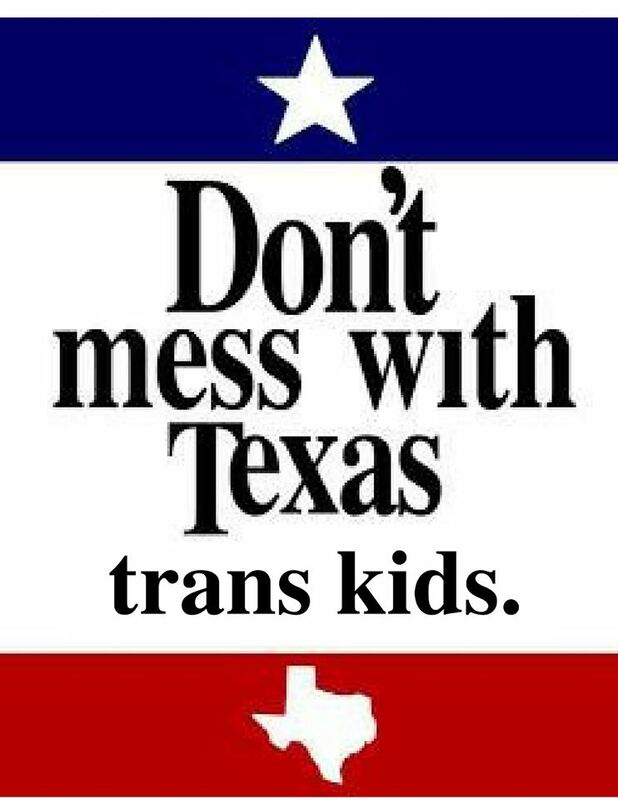 And win this fight we must for our trans kids. It's becoming increasingly clear who the perverts are that the Republicans are talking about when they holler about 'no men in women's restrooms'. Meet 54 year old dentist David Narramore, the now former chair of the Letcher County Republican Party. 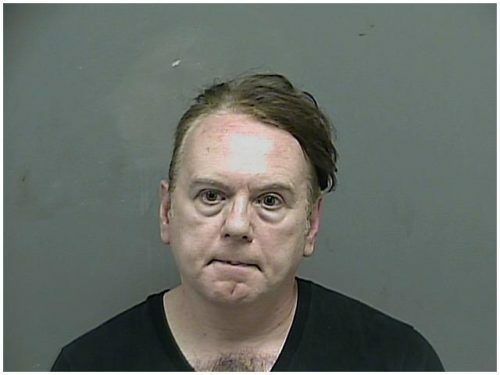 Dave got busted for doing his Larry Craig impression in a Kingsport, TN Belk store. Narramore is accused of rubbing his foot up against the foot of a Belk store employee in the next stall, then exposing himself. That employee happened to be a loss prevention officer, and he was hauled into the store's office by security personnel and detained until the po-po arrived. Narramore then tried to resist arrest, got tasered for trying to do so and was taken to the Kingsport city jail. Note that Narramore also wasn't wearing a dress when he was taken to jail or when he engaged in his behavior that got him busted..
Don't worry boo. maybe GOProud or the Log Cabin Republicans will offer you a membership..
A mere hour after the conclusion of the panel I was on at Comic Con discussed TBLGQ visibility in the comic and sci-fi fantasy world, Faith Cheltenham and I ran into a woman and her husband doing a blackface version of Star Trek's Guinan and two Klingons. And yeah we called them out for it. One of the bull feces laden excuses she tried to deploy with both of us was that she was 'honoring Black women' because 'there weren't any Black people' at Comic Con. While Comic Com is an event that is predominately white, Black folks and other people of color do show up at Comic Con and are part of the cosplaying world. I saw many brothers and sisters walking around the San Diego Convention Center and the nearby Gaslight District cosplaying as their fave characters from the sci-fi and comics worlds this year. I had enjoyable conversations with many of them as I wandered the San Diego Comic Con halls, and they laughed and rolled their eyes when I told them about my encounter with the blackface Guinan and the ridiculous comments she made trying to justify her mess.. These cosplaying sisters have also been handling their business at previous Comic Cons and even regional comic conventions. Cosplaying sistahs exist, so spare me the bald faced lie that they don't. What If Betty Married Veronica? 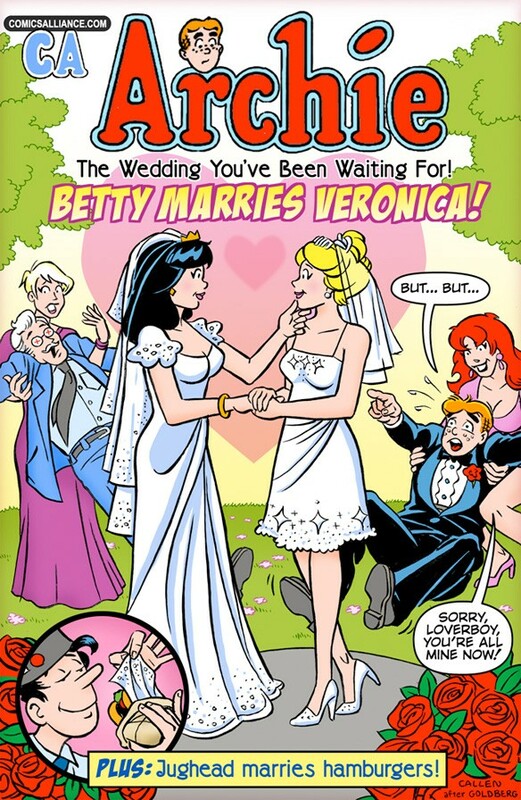 This was a created cover that hasn't been published (yet), but borrow on the Archie storylines in which he visualized what his life be like if he got married to Veronica or Betty. There was a subsequent storyline in which Valerie took the walk down Memory Lane not long after she and her family moves to Riverdale and imagines her life as Archie's spouse. 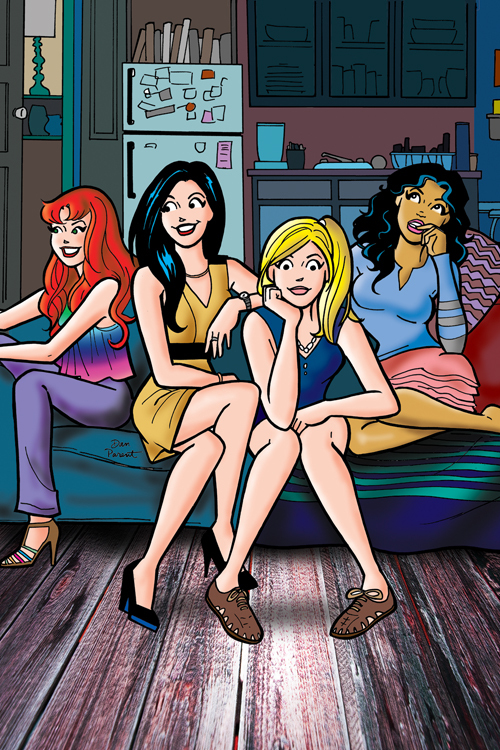 There is already a gay male character in the Archie comics universe in Kevin Keller, so it stands to reason that we could play the 'what if' scenario with these iconic characters in Betty and Veronica. 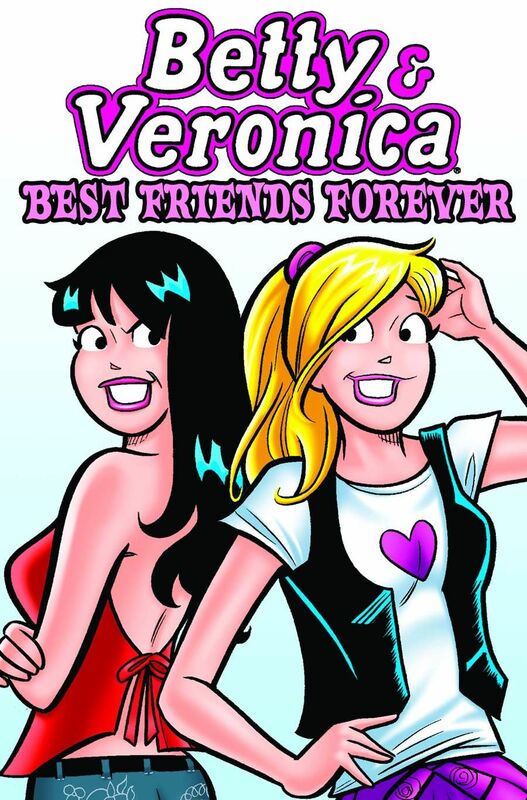 Betty and Veronica, despite being rivals for Archie's indecisive romantic attention and wandering eye, have been best friends ever since Veronica and her family moved to Riverdale. So it's not inconceivable to envision a scenario in which both of them get together one night and have the epiphany that their friendship has a deep romantic component to it that eventually leads to them kicking Archie to the curb and exclusively dating and marrying each other. It would be interesting to see how both Betty and Veronica's families handle their relationship and eventual marriage, It would also be cool to see how they handle being a married couple in Riverdale and the ripple effects from it. And yes, while Betty is and can be as glamorous as Veronica, Betty does know what tools are for and has a demonstrated ability to work on cars. The initial one is that Archie now has to choose between Valerie and Cheryl Blossom as future romantic partners, or someone else currently not in the picture since Veronica and Betty would no longer be romantically available to him, and they could only be just friends.. There would also be other ripple effect that would be revealed as their interesting 'what if' relationship progressed and developed. And as a longtime Archie Comics fan I'd love to see someone tackle it. Here's an update in the Dee Whigham case. Just to refresh your memories since we lost far too many sisters in 2016, Whigham was the 25 year old trans woman killed in a St. Martin, MS hotel room on July 23 of last year by 2 year old Dwayna Hickerson, a US Navy sailor based at the nearby Keesler Air Force Base. After corresponding for months, she and Hickerson had a sexual encounter that resulted in her brutal murder at the hands of Hickerson She had been stabbed 119 times and had her throat slashed three times, , with many of the stab wounds being to Whigham's face. Hickerson on Thursday accepted a plea deal in which he pled guilty in a Jackson County court to second degree murder and was sentenced to 40 years in prison for it. Hickeson also got 15 years for robbery, for stealing Whigham's purse and cell phone. He was set to go to trial for Whigham's murder on August 14 on a capital murder charge, and was facing the death penalty in this case. Hickerson will have to serve 35 of the 40 years assigned for the second degree murder charge, and 8 of the fifteen years he received for the robbery charge. Diane Gherson, IBM's Senor Vice President for Human Resources recently posted this message to all IBM employees outline their opposition to the anti-trans legislation that the Texas GOP is trying to pass during the Special Oppression Session. This week, I’ll be traveling to Austin, Texas with IBM Chief Diversity Officer Lindsay-Rae McIntyre and nearly 20 IBM leaders—the majority of whom are Texans–to voice IBM’s longstanding commitment to diversity and inclusion. Logo showing IBM’s commitment to diversity and equality. Why Texas? And why now? 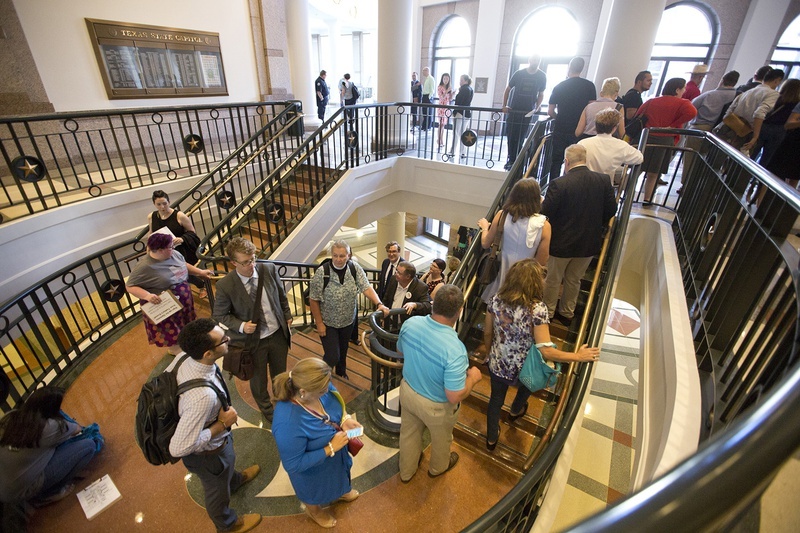 On July 18th, the Texas legislature will start a thirty-day special session, where it is likely some will try to advance a discriminatory “bathroom bill” similar to the one that passed in North Carolina last year. 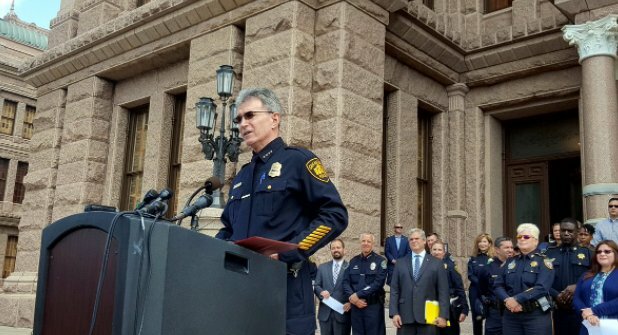 It is our goal to convince Texas elected officials to abandon these efforts. IBM wrote its first Equal Opportunity policy in 1953—a decade before the Civil Rights Act was enacted. We were one of the first companies to include sexual orientation in that policy over thirty years ago, and have stood up to ensure that LGBT IBMers across the globe can live and work free from discrimination in any form. A Texas bathroom bill stands squarely against these deep-rooted IBM values. A bathroom bill like the one in Texas sends a message that it is okay to discriminate against someone just for being who they are. It threatens IBM’s ability to bring the best and brightest to our Texas workforce—a community that is now over 10,000 strong and represents a diversity of perspectives, backgrounds and experiences. This bathroom bill also undermines IBM’s goal of bringing more people into New Collar job opportunities—a top company priority. Through partnerships with local high schools and community colleges, we’ve been able to support over 100 P-TECH schools that have created 21st century skills education programs. In May, Texas signed on as the latest state to fund its own P-TECH program. A bathroom bill could target LGBT youth and students attending such schools—and every other public educational institution across Texas. We will strongly oppose legislation that would marginalize any current or future IBMer. That’s why we are heading to Texas to engage directly with government officials on this bill. I am proud of IBM’s leadership in the push for diversity and inclusion and thank all of you in the IBM community for living these values each and every day. I look forward to reporting back on our work in Texas and on our broader efforts to ensure that diversity remains central to IBM’s company values and culture. Thanks IBM for being on the correct side of history. As y'all know I'm out here in San Diego for my first ever Comic Con, and what a way to kick off your first ever visit to this megaconvention by doing a panel discussion. The plan was for me not to think about or discuss Texas politics while I was out here, but that died the nanosecond the GOP controlled Texas Senate decided to have their hearings on their unjust anti-trans bills. So I going to enjoy the conference and the weather, and handle my Friday business of calling some fools out before I hop on the shuttle bus o take me to the Convention Center from the hotel. It's time for this week's Shut Up Fool Awards! Honorable mention number two is the Texas GOP for trying to ram discrimination down the Texas trans community's throats. Honorable mention number three is the woman that Faith and I encountered at SDCC yesterday we caught in blackface, accompanied by Klingons in blackface. She tried goalpost shifting justifications that ranged from being a fan of Star Trek, of Whoopi Goldberg, claiming she was 'representing and honoring Black women' because we weren't here at Comic Con, and a few other BS reasons I'll talk about in a later post. This week's Shut Up Fool winner is Caitlyn Jenner. This week she claimed she had the ear of the Trump misadministration on trans issues, and is now contemplating a run for the US senate against Sen. Dianne Feinstein.. But what's got a lot of people fired up is her posing with Steven Tyler of Aerosmith and joking that 'she's working on a duet with him' to sing the transphobic song 'Dude Looks Like A Lady' and calling it her theme song. Texas trans folks will be in the ATX to oppose them when that Senate State Affairs Committee takes place. .So go get 'em Texas trans folks. Let our GOP oppressors know that these unjust bills are bad for Texas and bad for us. Send them the message we are wide awke and cognizant of what they are trying to do. 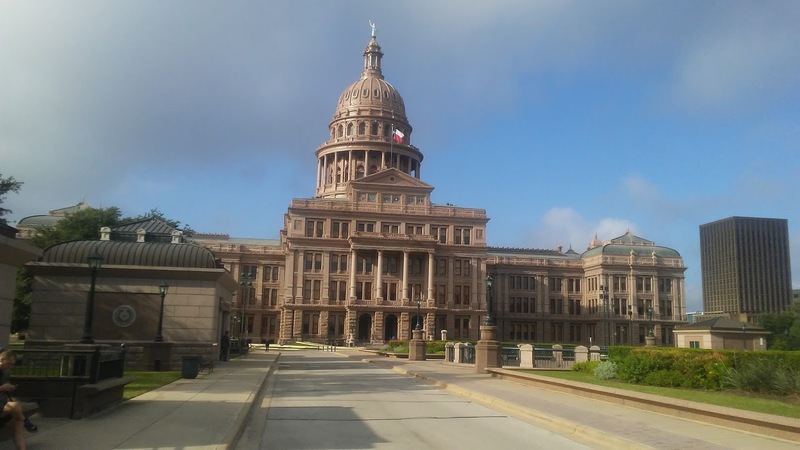 You can sign up to testify against them starting at the Texas state capitol at 7 AM. We also need people and our allies calling these senators and asking them to oppose SB 3 and SB 91. Call the members of the Senate State Affairs Committee too while you're at it..
TransGriot Update: After 10 hours of hearings, it was deja vu all over again. An 8-1 vote (7 Republicans, 1 DINO) sent this legislative abomination to the Senate floor. What If Wonder Woman Was Trans Feminine ? 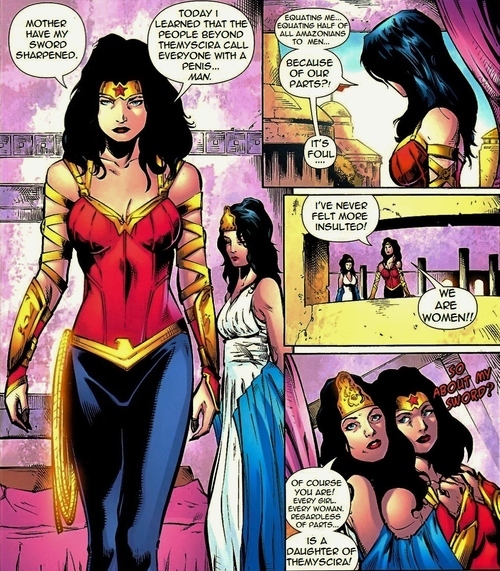 There's this interesting creatively altered segment of a Wonder Woman comic book in which the dialogue seems to suggest that Diana and half of the women on Themyscira are trans. The actual issue of Wonder Woman in which this panel was taken from and the dialogue changed doesn't say this, but it did jump start some hard solid thinking about the 'what if' Wonder Woman was trans feminine? 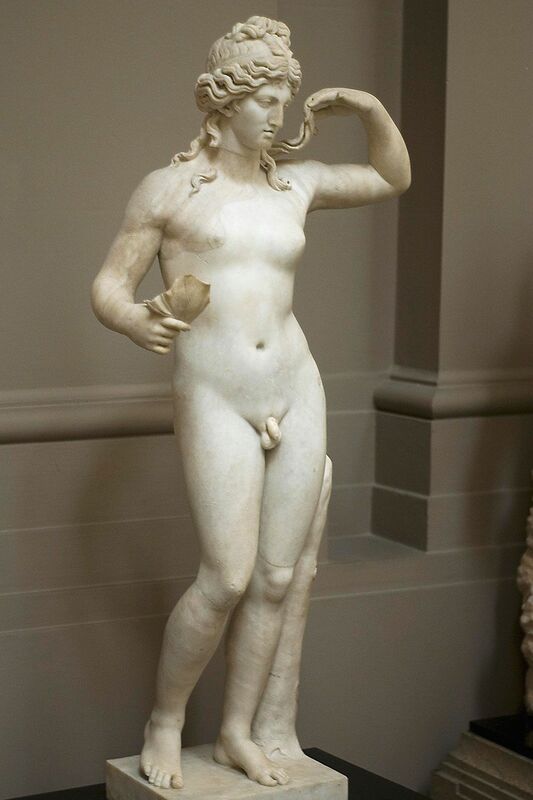 We know from Greek mythology about hermaphrodites, so it is not beyond the realm of possibility that in Wonder Woman's home society that didn't have men as part of it, if you free your minds to ponder that possibility, you would probably have girls like that as part of it. So what is Wonder Woman was a girl like us? What would change about her character? What parts wouldn't? But it's definitely something interesting to ponder. Moni's In The Middle Of Comic-Con!